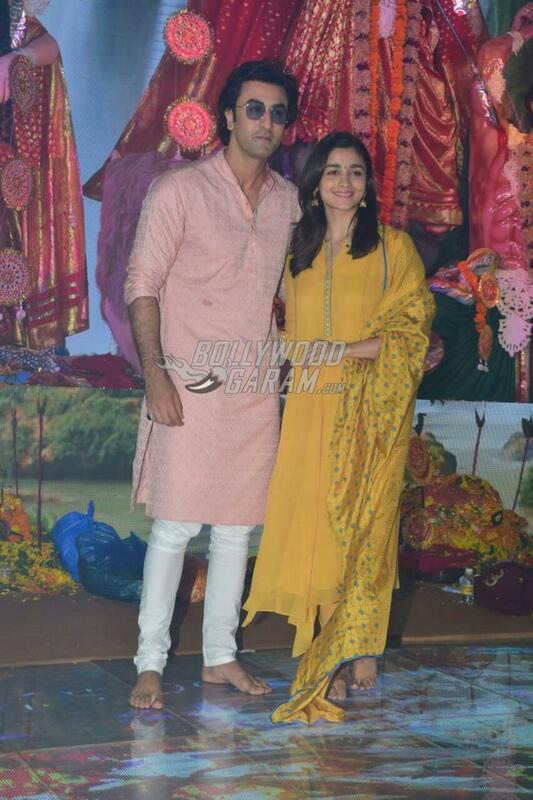 Upcoming on-screen pair Alia Bhatt and Ranbir Kapoor were snapped in a festive mood as they offered prayers on the last day of the Indian festival of Navratri in Mumbai on September 29, 2017. 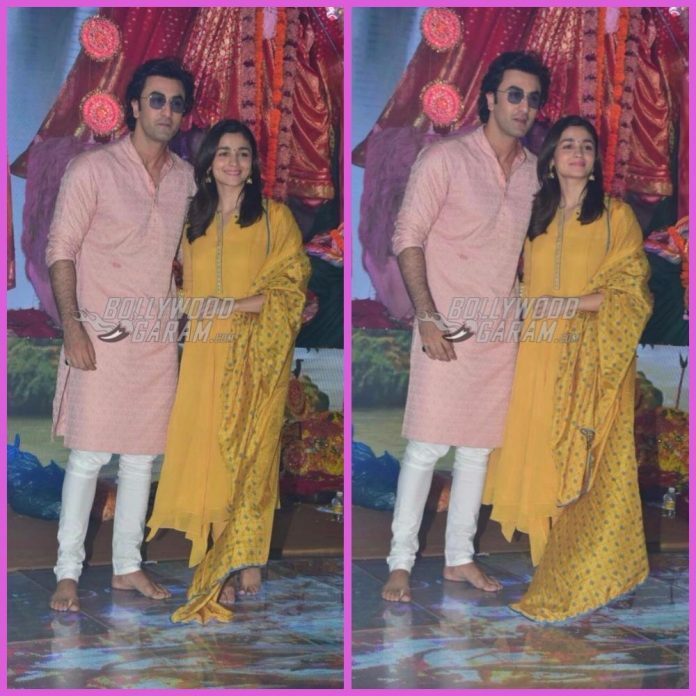 Ranbir and Alia not just offered prayers but also interacted with the media and fans at the venue. 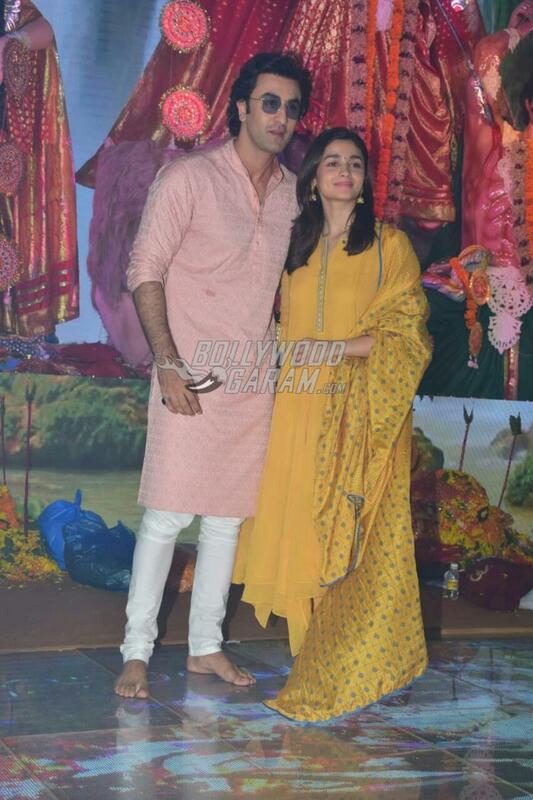 The Barfi actor looked dapper in a pink kurta and white churidar while Alia looked pretty in a yellow Indian outfit. 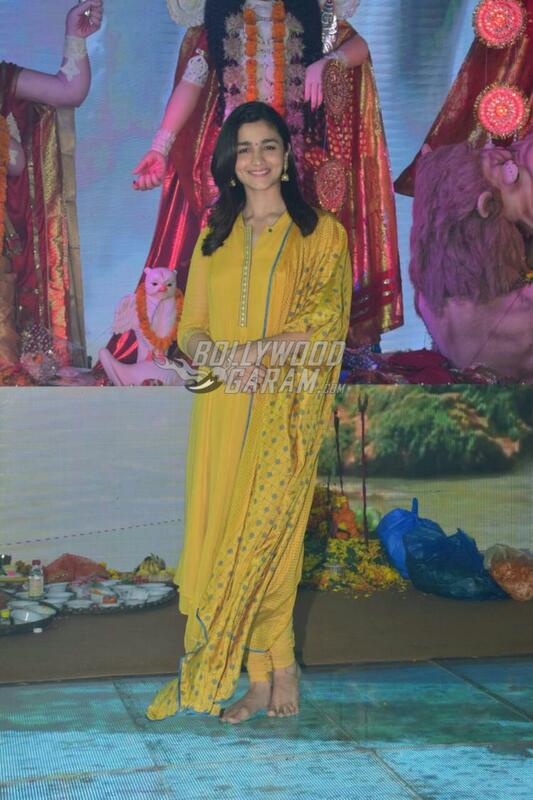 The Badrinath Ki Dulhania actress completed her look with golden jhumkas and a bindi. Ranbir at the event was also seen serving food for the Navratri devotees. 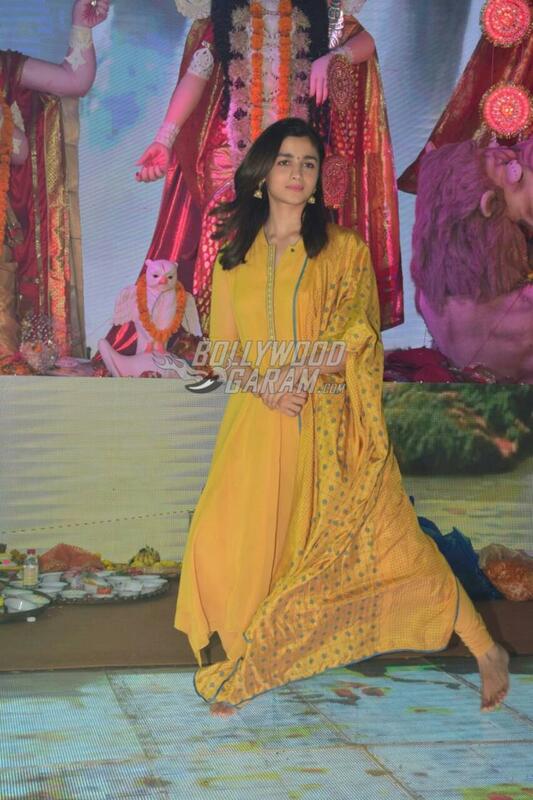 On the work front, Alia and Ranbir will be seen in the upcoming film which has been tentatively named as Dragon. 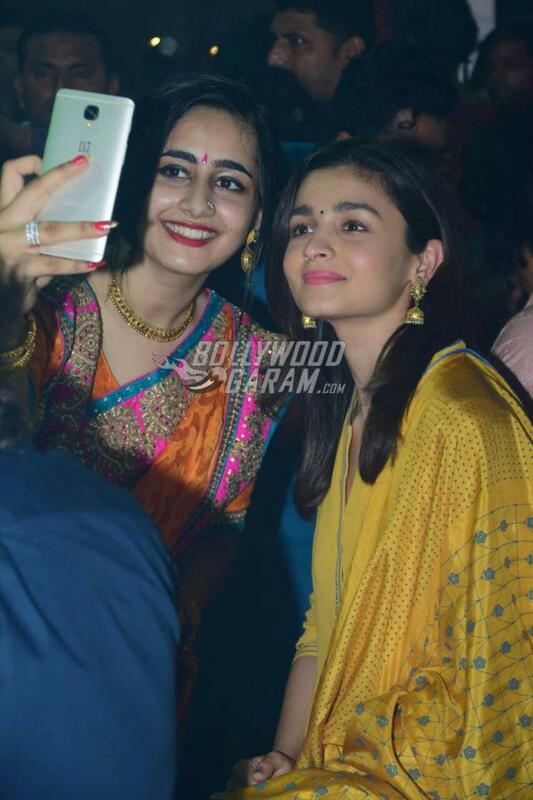 Alia was last seen in the film Badrinath Ki Dulhania and is currently filming for the upcoming film Raazi. Exclusive photos of Ranbir Kapoor and Alia Bhatt offering prayers during Navratri!